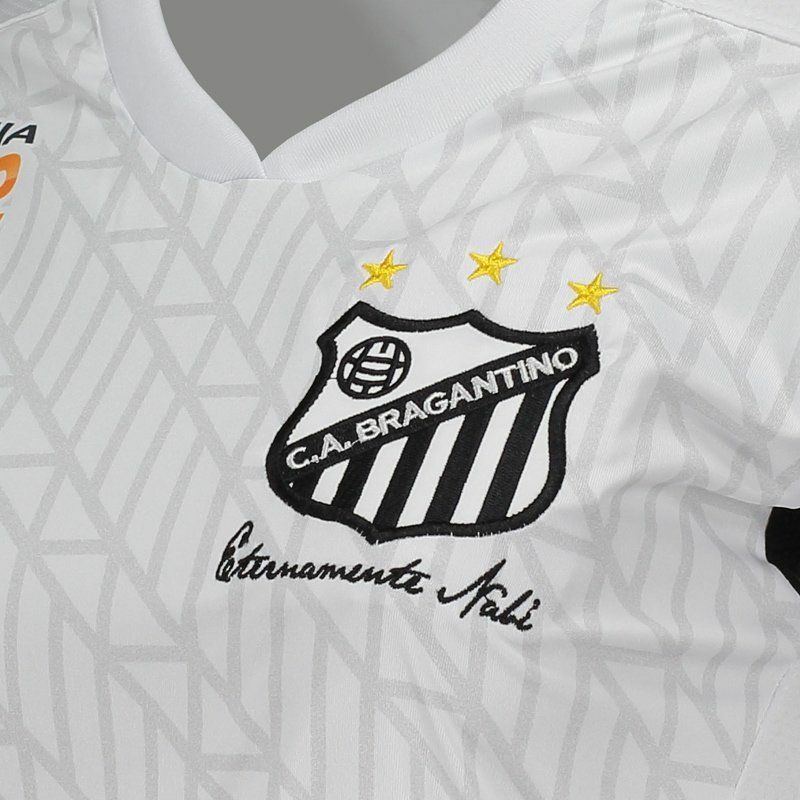 The Bragantino Home 2017 Women Jersey is produced in lightweight, breathable polyester and comes with the DryIce system that provides lightweight, comfortable fabric and provides high sweat absorption from the body. It offers name and number customization. More info. The Bragantino Home 2017 Women Jersey is produced in lightweight, breathable polyester and comes with the DryIce system that provides lightweight, comfortable fabric and provides high sweat absorption from the body, keeping it dry and at a stable temperature. 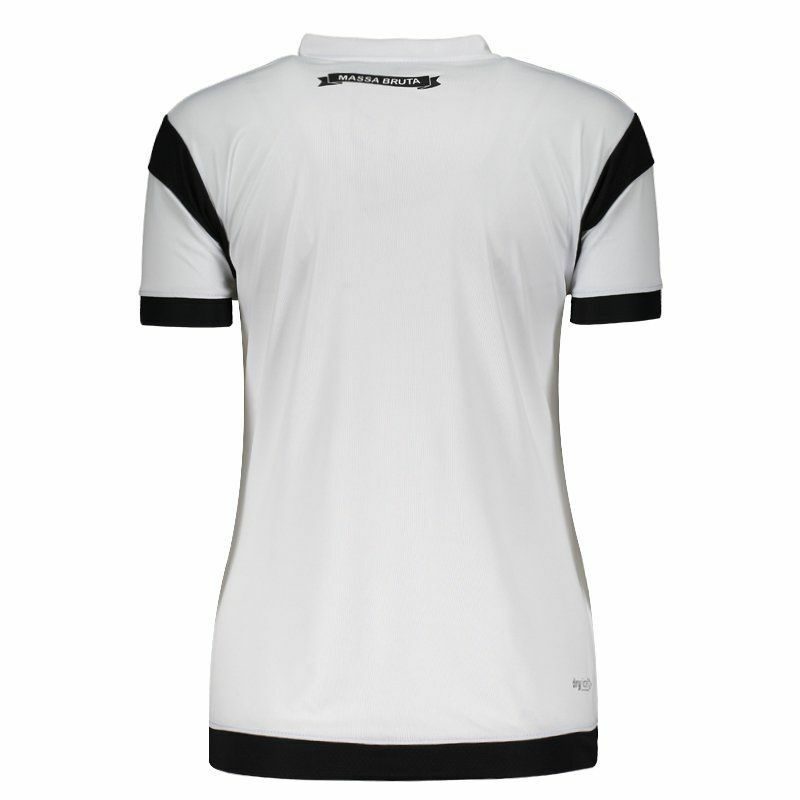 The design is entirely white with triangles and polygons in watermark, while black details are seen on the sleeves, cuffs and hem. The badge is seen embroidered on the chest and just below it bears the inscription "Eternally Nabi" in honor of the former club official. Near the back of the head, the team's nickname is present. Finally, it comes with a pattern of patronage that complements the shirt. Get it now!